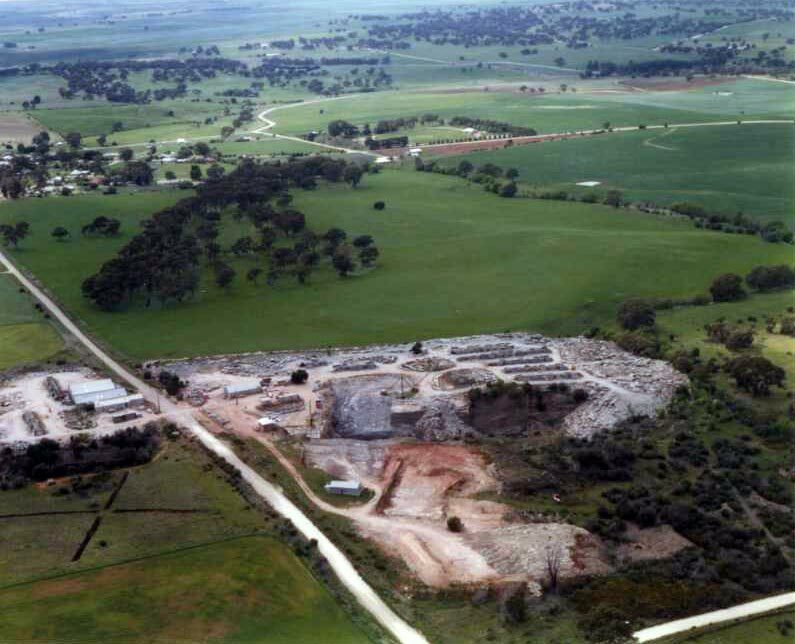 During the proterozoic (early life) era about 900 million years ago thick silts and muds were deposited on the sea floor in the area that is now the Flinders and Mt. Lofty Ranges. 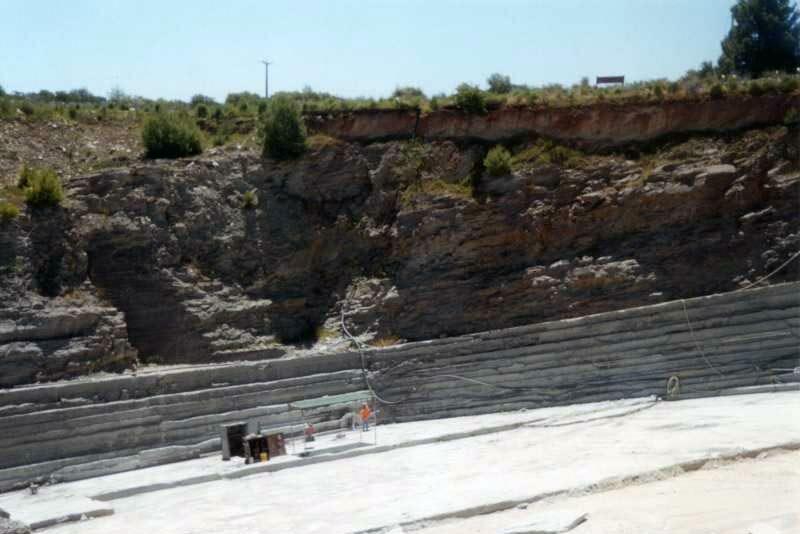 Subsequent sediments buried the silts deep within the Earth's crust where intense pressure and high temperature produced a dense fissile silt stone. 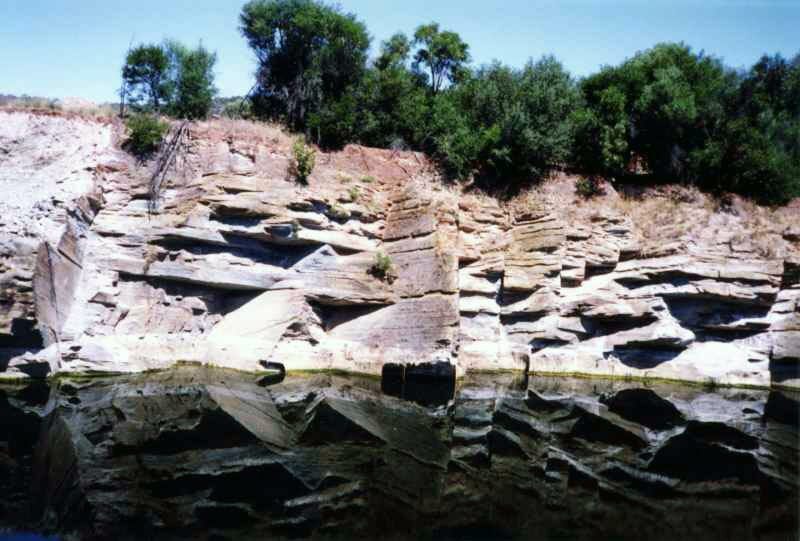 Gradual uplift and the erosion of overlaying sediments has exposed the siltstone. 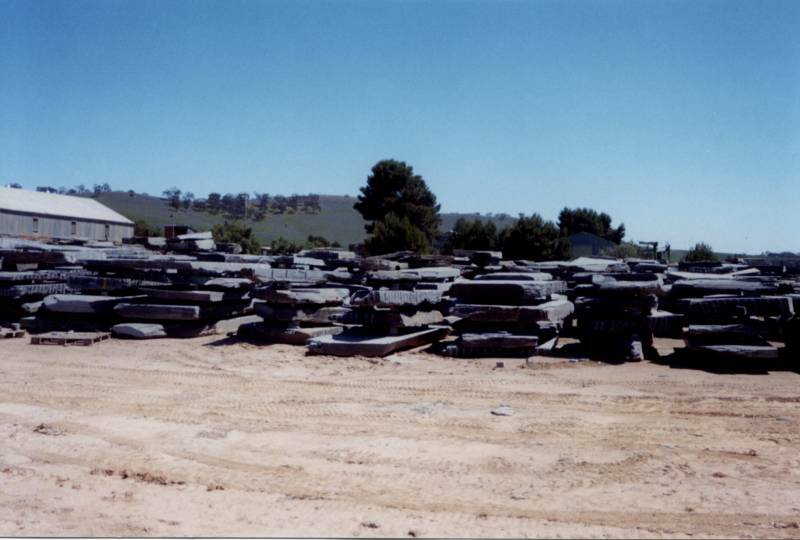 At Mintaro, the uniformity of composition, extraordinary flatness of bedding surfaces and widely spaced natural jointing make the deposit such a significant source of paving and structural slate. 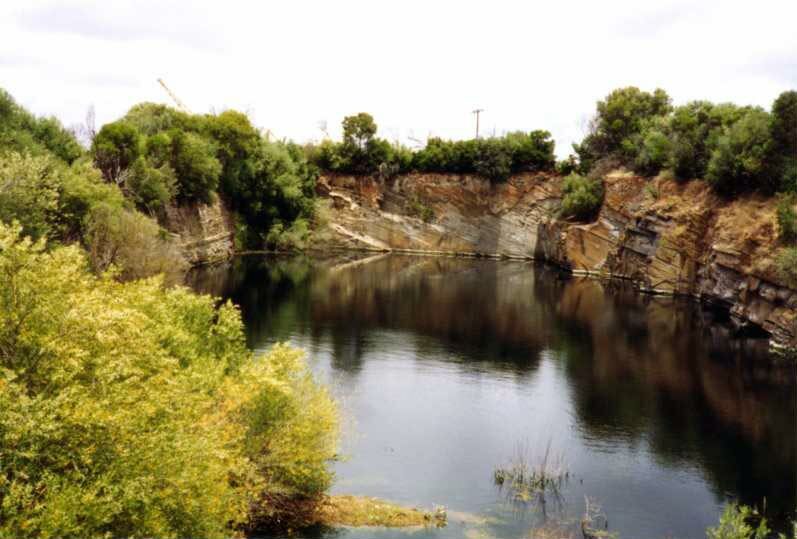 The quarry is in fact a series of quarries following in sequence from Thompsons Priest's excavation in the 1850's. 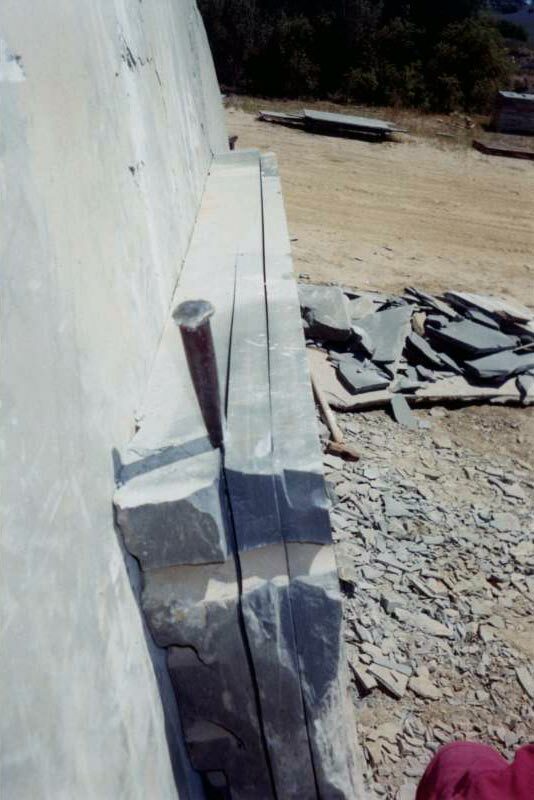 The whole slate mass tilts at an angle of about seventeen degrees to the west, so the further each working is extended the deeper each quarry becomes until a depth is reached at which extraction becomes impractical. Work then moves to an adjoining site, overburden is removed and extraction of slate begins anew. 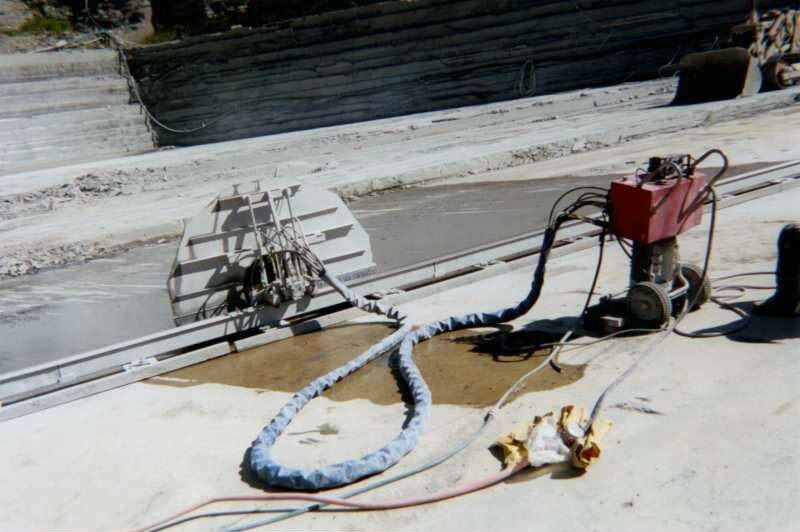 Quarrying is without explosives; blocks of area about three metres by a metre and a half are separated from the quarry floor on natural seams by drilling to define the perimeter then wedging. 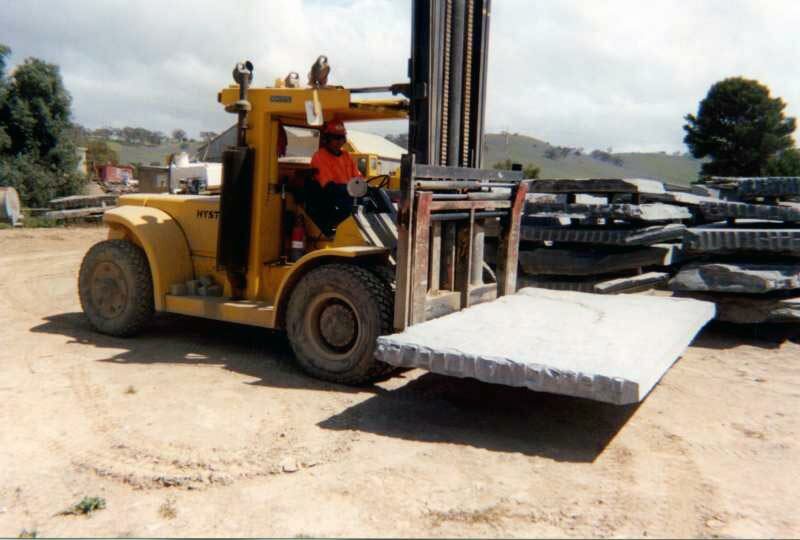 After hoisting to the surface and after several months of natural weathering to reveal the split planes the blocks are ready to be separated by wedges into the raw slabs from which Mintaro's products are made. In most cases the natural split face is the surface texture used. Earliest extraction was by manpower and horsepower, and later steam played a part. Electricity came and diesel and compressed air. 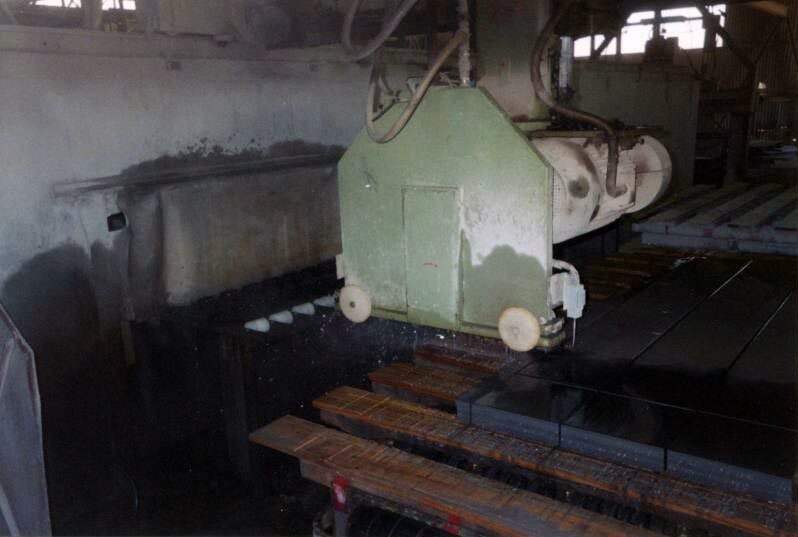 Early sawing methods used reciprocating blades with beach sand from Glenelg, South Australia, as an abrasive medium. These days diamond technology is used.